This gift box has sweet and salty goodies the whole family can enjoy. Contains Two 12 oz. Packs Country Ham, Two 1 Lb. Packs Country Bacon, One 12 Oz. Pack Beef Summer Sausage, One 6 Oz. Beef Snack Sticks, One 1 Lb. Bag Natural Pecan Halves, One 22 Oz. Canister Chocolate Covered Pecans, and One 16 Oz. Canister Roasted & Salted Pecans. Add address at checkout or log in to use your address book. All orders placed on-line at fouroaksfarm.com will ship out on the soonest available shipping day. If we receive your order prior to 2pm, Monday through Thursday, we will ship it via FedEx Ground on the same day. Otherwise, we will ship your gift on the next available business day. If your gift's arrival is time sensitive, please call us for exact details at 1-800-858-5006. Since most of our gifts include vacuum packed meats and pecans, we will not ship a gift during the warmer months if it will not arrive within the same week that the order was placed. For example, if an order is placed on a Thursday (after 2pm) and it takes two or more business days to arrive, we may hold the order and ship in on the following Monday to allow the gift to travel during consecutive business days. This will insure the gift does not sit at FedEx over the weekend and that you or your recipient receives the best quality product. Our country style products do not require refrigeration when in transit, but should be refrigerated upon arrival. For more details on your gifts' exact shipping date you may contact us at 1-800-858-5006. All of our standard gift boxes have the shipping and handling included for any address in the Continental U.S. If you would like to create your own gift box, shipping and handling will be calculated at the checkout depending on the weight and destination zip code. If you have any questions, please contact us at 1-800-858-5006. Please make sure that all addresses are current and correct, with a complete street address, zip code and phone number. FedEx charges $12.00 for each address correction. We will have to bill you for these additional charges and/or the cost of any reshipment if you provide us an incorrect shipping address. 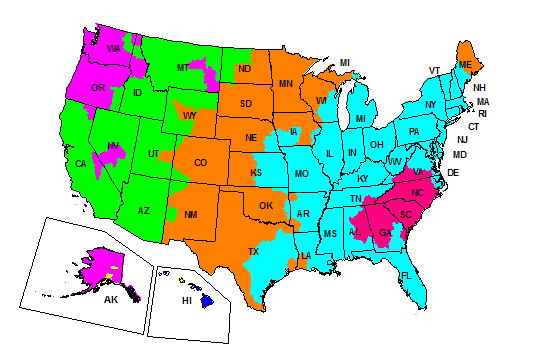 FedEx does not deliver to P.O Boxes, all P.O Box addresses will be shipped U.S.P.S. © 2019 Four Oaks Farm. All Rights Reserved.